Beat the egg yolks, salt, vanilla and sugar until thick (at ribbon stage). Slowly pour in the brandy, while still beating. Pour the mixture into a saucepan and warm over a low heat, continuously whisking. Don’t bring to a boil! It’s ready when it coats the back of a spoon. Serve warm. Beat egg whites with 1 cup sugar until soft peaks form and set aside. Next, whip cream with the other 1 cup sugar until whip cream texture. Beat egg yolks with half & half until frothy and ribbony. Slowly add the rum and milk, while beating. Finally, fold in the egg whites and whipped cream. Serve with fresh nutmeg on top. This recipe (and beautiful story) comes from Ciatlin: My Grandmother (Mom’s Mom) is from the Netherlands. During the winter holidays, the woman drink Advocaat, a thick creamy eggnog, and the men tend to drink something stronger, like brandy or Genever. On New Year’s my entire extended family goes to my grandparent’s house for Advocaat and Oliebollen, Dutch fried dough. The second recipe is a more traditional eggnog and comes from my Grandfather (Dad’s Dad). He got it from his friend Shorty (a 6-foot 4-inch Southerner). 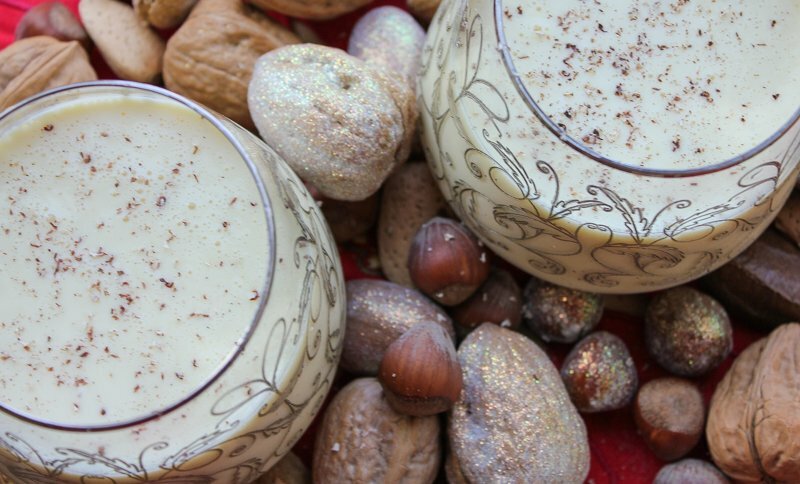 This is an eggnog to knock you on your backside! My Grandfather never gave the recipe to anyone – if you were at one of his parties he would tell you the recipe (not writing it), knowing you’d be too tipsy to remember it the next day. After he passed, my dad and his brothers decided the world would be a better place with this recipe – Cheers to you, Grandad!